As many people know, Japan is a country full of natural beauty. One of the most famous, and visited landmarks resides just under thirty minutes away from central Kyoto, in Arashiyama – otherwise known as the Bamboo Forest. As one the most photographed locations in the world, the Bamboo Forest is the epitome of serenity. After a quaint train ride out of the city and a brief stroll through a touristy shopping district in Arashiyama proper, the walking trail through the bamboo forest is like something out of a fairy tale. Surrounded by countless green stalks in every direction, the path twists and turn up the mountainside through a small labyrinth of shrines, tea houses, and other landmarks. Travelers who make the trek to the forest can enjoy a slice of country life without the need of a Shinkansen (bullet-train). 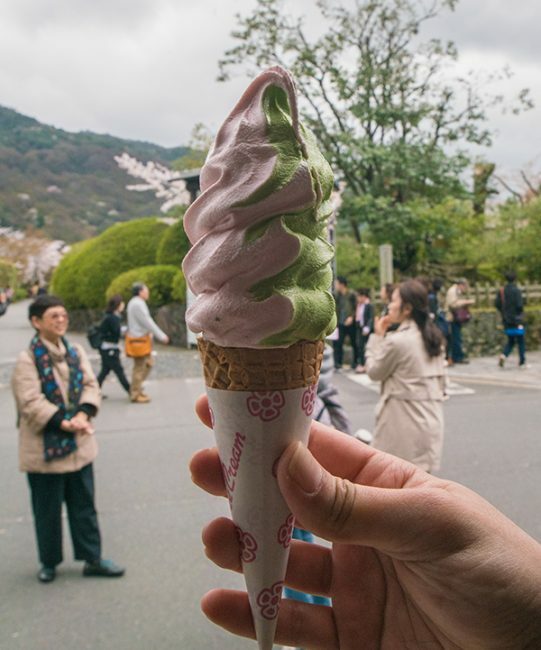 Visitors ride bicycles, eat matcha and sakura flavored ice cream, or even get a cup of coffee at the local Arabica coffee stand minutes away from the walking trail. 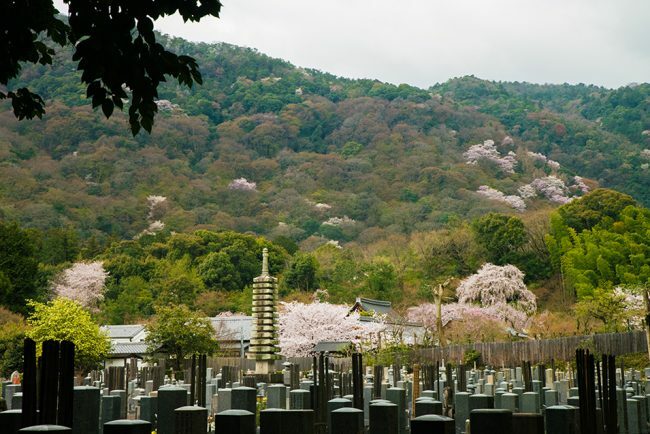 While the Bamboo Forest can be relaxing and sometimes isolated if you go at the right time, it can also be extremely crowded (such as the time that we went at the peak of the cherry blossoms!). Navigating through crowds and brushing shoulder-to-shoulder with endless photographers seeking the ultimate family travel pictures can be frustrating, so we at Culture Trip decided to give our readers a taste of what it is like to take a small stroll through the famed forest. Be sure to click and drag around the video to get the full experience!